Sometimes the very thing we think we should do is the very thing we should not be doing with loved ones struggling with addiction. Find out why. These three learning and fellowship series offers help and hope for family members and individuals impacted by addiction and its effects. Pre-registered childcare is provided. There will be a soup & salad bar meal in the Spirit Cafe with a freewill offering taken. Registration is required. To register, fill out the form at the bottom of this page and submit. 3 PCB hours are offered for each of these sessions. 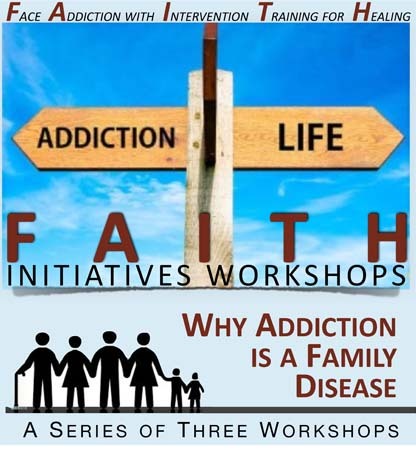 This workshop will delve into the spiritual, clinical and relational impacts of addiction. What happens in the brains of individuals struggling with addiction? How does loved ones struggling with addiction affect families? Relationships? Congregations? The self? Register Below. IF you have already registered for this series, you do NOT need to register again. Friday, June 14, 6 – 9 p.m. This workshop will be a guided discussion on how to help for optimal healing, with a special emphasis on enabling and its effects. We will offer hope and suggestions for things that can be done and tips on what we should not do that may be counter-intuitive. No, I do not need child care thanks! If child care is needed, please let us know how many children will be participating as well as their ages. In order to provide a safe and nurturing environment for our little ones, Hempfield UMC requires pre-registration for child care no later than 48 hours prior to the event or program and a minimum of four participating children.